Go anywhere with an all-terrain mobility scooter ideally suited to long journeys. 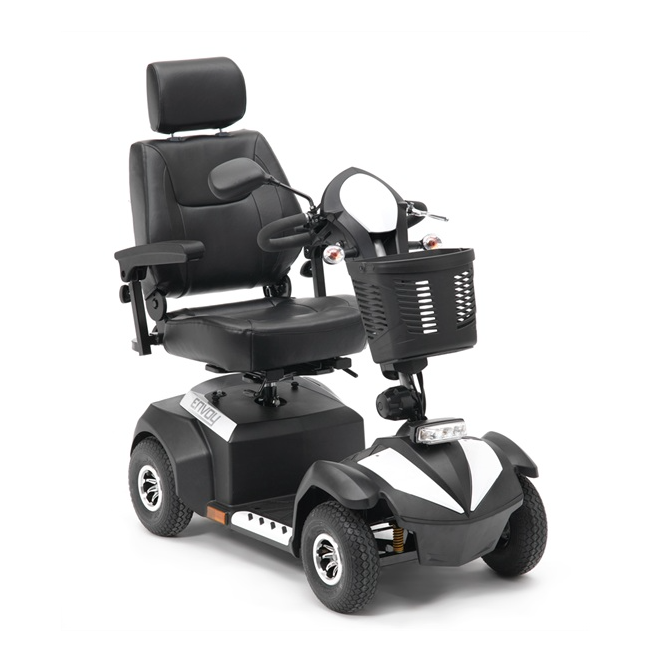 The Envoy 8 is a fully road legal 4 wheeled mobility scooter designed for long distances where comfort and safety are a priority. Large pneumatic tyres and a full suspension system provide a smooth and comfortable ride for an impressive 30 miles between charging. Everything from the hydraulic tiller adjustment to the fully supported adjustable captain seat offer an experience catered to your ideal driving position.